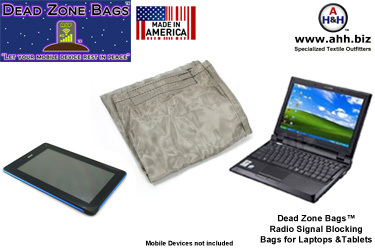 Dead Zone Bags™ Radio Signal Blocking Bags and Faraday Pouches! The RF Blocking bag that actually worked as claimed, and had a warranty to back that claim up! We are currently unable to manufacture and sell Dead Zone Bags™ and we are currently unable to discuss the reason(s) why we are no longer able to manufacture and sell Dead Zone Bags™. Please do not call or e-mail us with questions or requests about Dead Zone Bag™ products, as our customer service team will not be able to provide you with additional information, and you will be referred back to this page. However, our parent company sells the raw materials for you to make your own Faraday Cages. 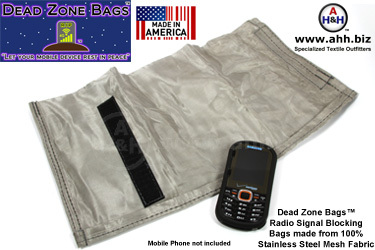 The design of the original Dead Zone Bags™ was essentially an elongated pillow case that twice folds over the inserted device when properly closed, and with double folded, sewn seams. The double folded sewn seams and the twice folding design are critical design elements of a functioning RF Signal blocking bag. A review of our instructions from the original product should give you a good idea how this bag should be made. Nearly any home sewing machine can be used, but this special RF blocking stainless steel material is especially hard on a sewing machine's internal mechanisms, and could possibly damage lighter machines. Hand sewing with needle and thread is the most effective way to sew these bags. The simple foolproof way to test your finished bag without the benefit of expensive test equipment is: Put your device into the finished bag, and try to call, send e-mail, or otherwise message the device. If the device is unable to send or receive the messages or calls during the entire time it was in the bag, then your bag works. Try to perform this testing within visual sight of a known cellular tower, and as close as you can reasonably and safely get to the cellular tower; as to ensure proper testing with the strongest possible signal you are likely to encounter during normal use. for nearly all Laptops and Tablets. 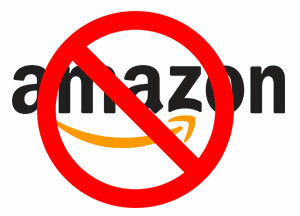 Including: Apple iPad, Android, Asus MeMo pad, Google Nexus, Kindle Fire, Microsoft Surface, Samsung Galaxy Tab. 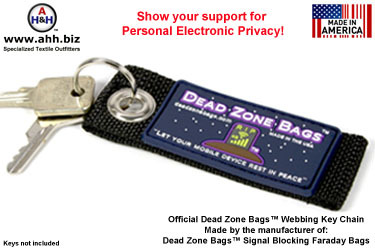 Show Your Support for Personal Electronic Privacy!